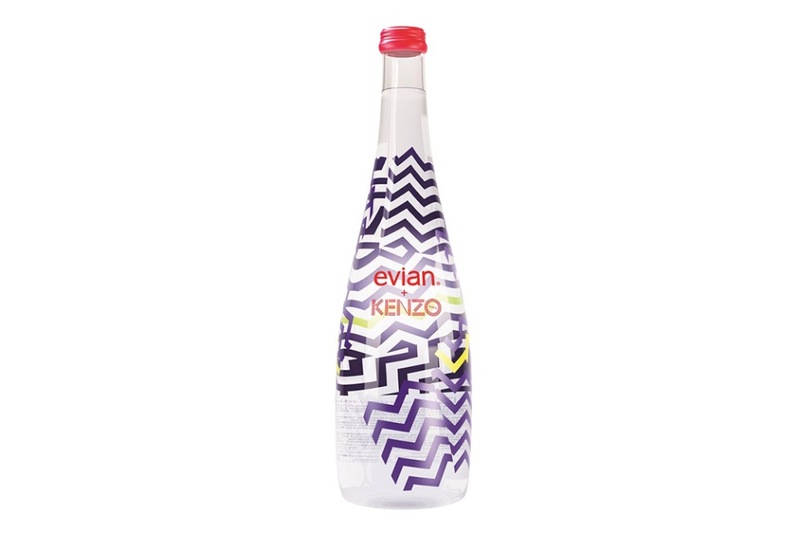 For Parisian fashion house KENZO‘s latest collaboration, the contemporary brand steps outside the realm of style to release a limited-edition bottle with Evian. This is not the first creative partnership from the French mineral water company, as it has paired with the likes of Elie Saab, Diane Von Furstenberg, Issey Miyake, Paul Smith, Jean Paul Gaultier, Courrèges and Christian Lacroix in the recent past. The result of their pairing sees a glass bottle that takes design cues from KENZO’s David Lynch-inspired fall collection with a vibrant blue and yellow broken floor pattern. The two brand’s have not yet released details regarding where and when this collaborative bottle can be purchased, so be sure to keep an eye out at KENZO retailers around the globe. This entry was posted in Home, Kenzo and tagged Bottles, Evian, Kenzo, Limited Edition. Bookmark the permalink.